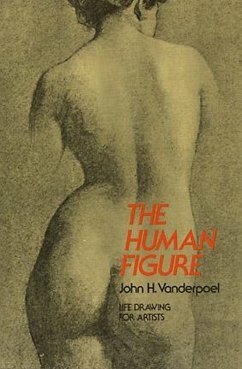 This great classic is still unrivalled for its clear, detailed presentation of thousands of fundamental features of the human figure. Every element of the body (such as the overhang of the upper lip; the puckering at the corners of the mouth; the characteristic proportions of the head, trunk, limbs, etc. ; the tension between connected portions of the body; etc.) is carefully and concisely pointed out in the text. Even more helpful are the 430 pencil and charcoal drawings that illustrate each feature so that you are, in effect, shown what to look for by a master teacher. The result is the only art instruction book which not only illustrates details of the body but directs your attention at every stage to a host of subtle points of shading, curvature, proportion, foreshortening, muscular tension, variations due to extreme age or youth, and both major and minor differences in the structure and representation of the male and female figure. Comprehensive discussions and drawings cover the eyes; nose, mouth and chin; ear; head, trunk, back and hips; neck, throat, and shoulder; shoulder and arm; hand and wrist; leg; foot; the complete figure; and other interdependent groups of structures. This is the human figure as the artist, art student, and art teacher must know it in order to avoid many deceptive errors unfortunately common in much modern portraiture, painting, and illustrative art.